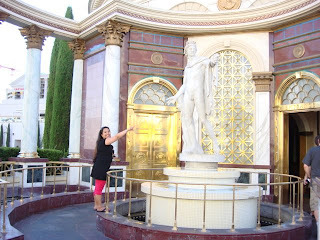 in front of Caesars Place, my favorite Hotel and casino in Las Vegas, nevada...i'm still here counting my days to go home to Europe!! I will surely miss vegas and all the beautiful people esp. my family here! !